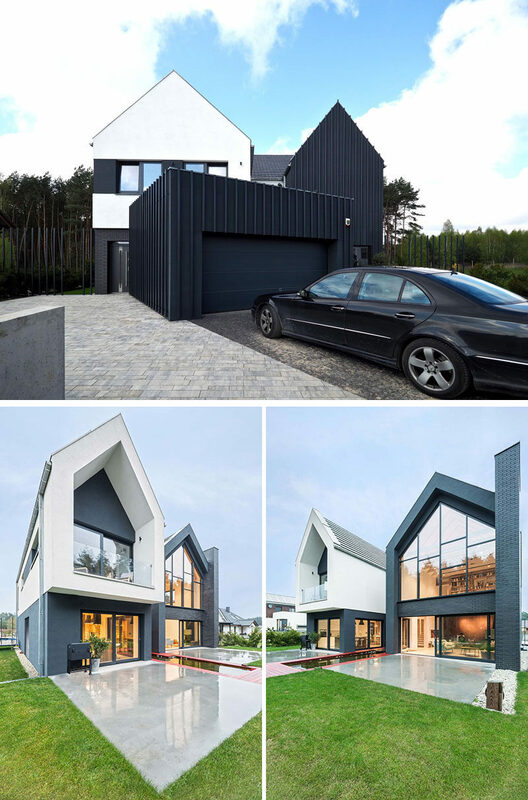 Architecture and design firm mode:lina studio have recently completed this home in Poznan, Poland, that’s a contemporary interpretation of a more traditional Polish style house. 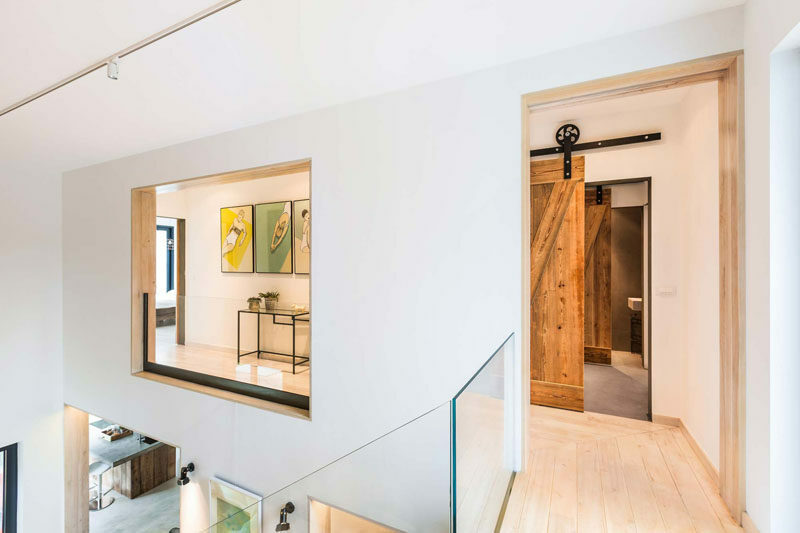 Designed for a family, the home has been split up into two areas, the main first floor allows the adults to enjoy peace and quiet, while the kids can enjoy their own space upstairs. At the back of the home, there’s an outdoor patio with a water feature. 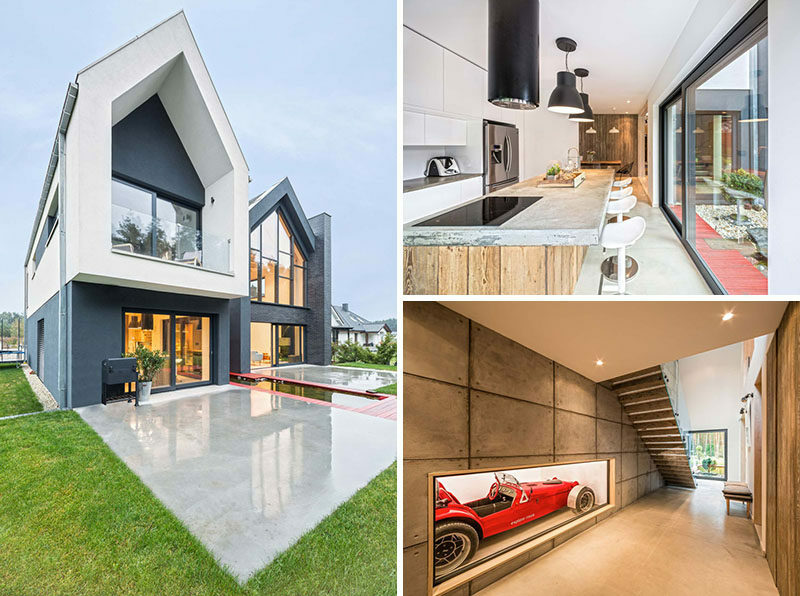 Inside, the entry hallway has an unexpected surprise, embedded within the concrete wall of the home and displayed behind glass is a little red race car. Further down the hall is the dining room, with access to the garden and a wood feature wall. Next to the dining room is the kitchen. 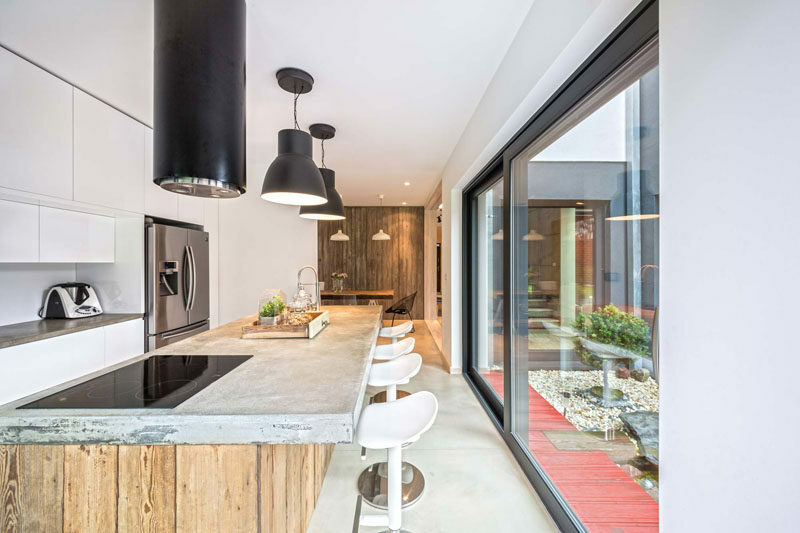 A long concrete and wood island has ample room for seating and plenty of prep space. On the other side of the main floor is the living room that opens up to the backyard via large sliding glass doors. 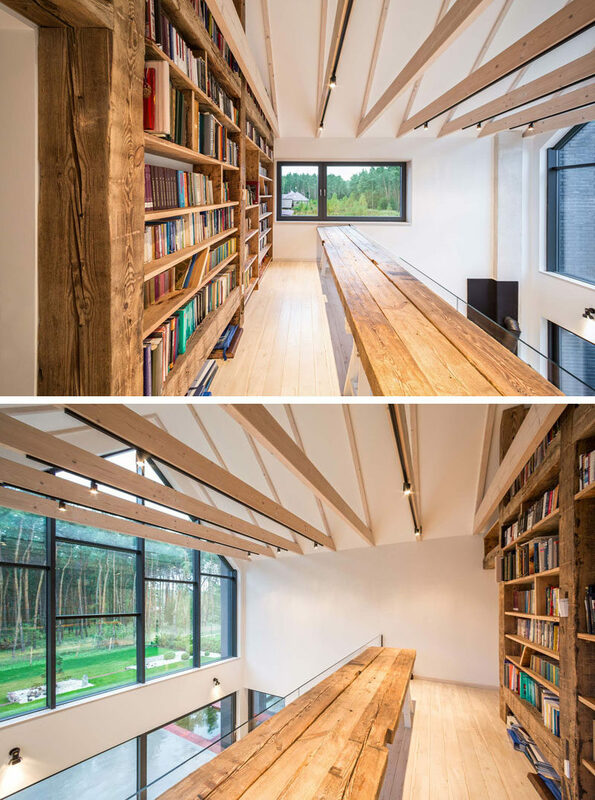 Above the living room, there’s a mezzanine with small reading/library area. Heading upstairs, there are cut-outs in the wall that act as internal windows so you can see the floor below. Just off the hallway is the reading/library area with wood shelves and matching desk. 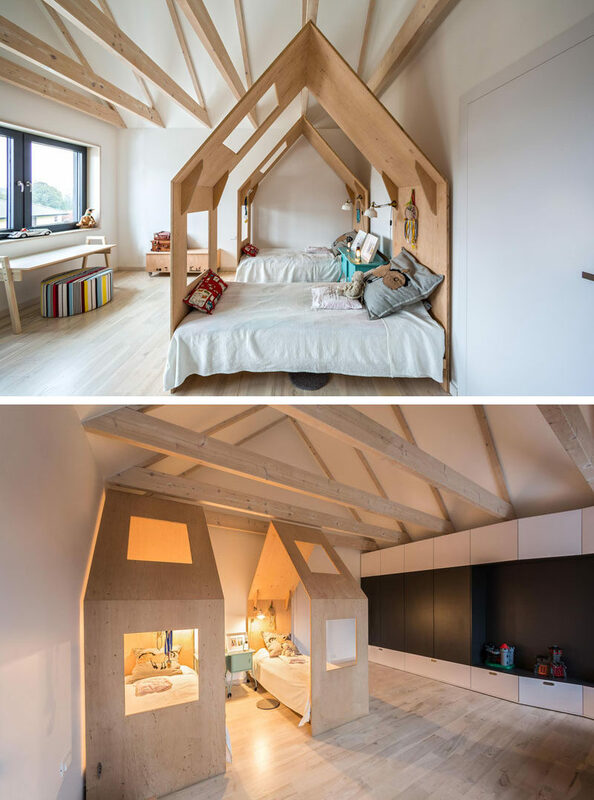 Here’s a look at the kids bedroom, with each bed having its own little house.